1. The main core system is the vacuum evaporation system, which is complicated by the multiple components concentrated in an absolutely sealed container to form a complete vacuum system. 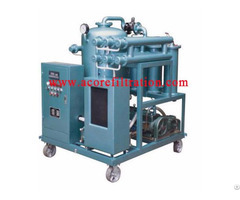 The main components of the vacuum system includes a pumping chamber, deputy pumping room, oil chamber, atomizer, air chamber, oil film diffusion chamber, oil atomizer, Pall ring, infrared, observation window and level gauge composition. 2. Control system: design of the control interlock protection device, over-voltage alarm shutdown protection, phase sequence protection to ensure a reliable long-term operation of the machine. Automatic pressure alarm shutdown system, automatic overload protection system, automatic constant temperature system, infrared defoaming system, automatic anti-spray protection and mother advanced technologies for safe operation. 3. Filtration system: High precision filter elements with encryption filtering technology, the amount of pollutants received large. 4. Heating system: safe and reliable carbon fiber heater to ensure uniform heating fast, oil temperature stability. 5. Efficient vacuum system: efficient deaerator, dehydration system, the use of advanced spiral atomization device, three-dimensional separation tower, flash evaporation technology, the formation of parabolic oil in the evaporation tank operation, can quickly remove oil moisture and harmful gases. 6. 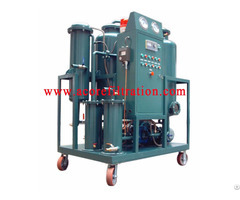 Vacuum Transformer Oil Purifier adopts advanced design, high degree of automation, compact size, light weight, flexible and convenient mobile. Since building, ACORE aims to become a leading designer and manufacturer of oil purifiers with special emphasis on providing oil filtration systems for a wide variety of applications. 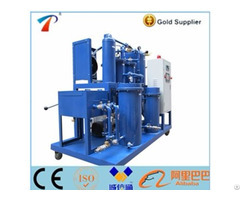 We have very rich experience of providing transformer oil purifier, lube oil purifier, hydraulic oil filtration machine, turbine oil purification system, diesel flushing machine and other industrial oil filtration treatment equipment. Our team can ensure that every Acore customer can receive a high quality products and exceptional supports.